I feel like I haven’t spoken about skincare in what feels like forever. 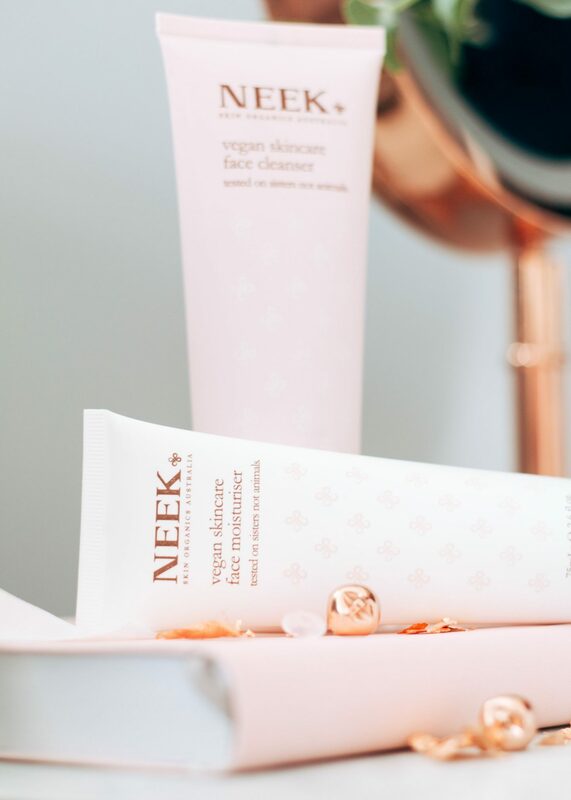 But recently, I was sent some products from Neek Skincare* and I’ve been testing them out of the past couple of weeks. First of all, can we appreciate the packaging? All the pink goodness. I’m a sucker for pretty packaging, which I’m sure is quite obvious at this point. 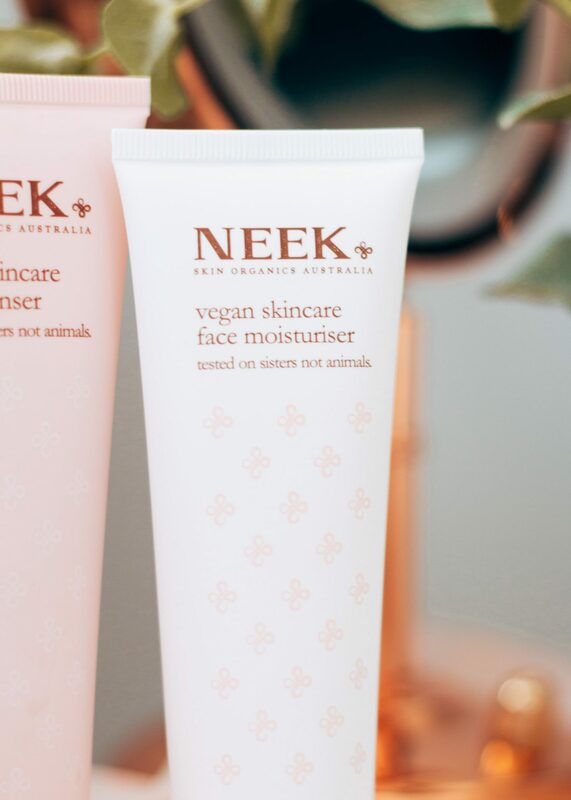 So, Neek is an Australian, vegan skincare brand that is also cruelty free (winning). The two skincare products that I’ve been trying out, are the first products in their skincare range, which I assume will expand over time. 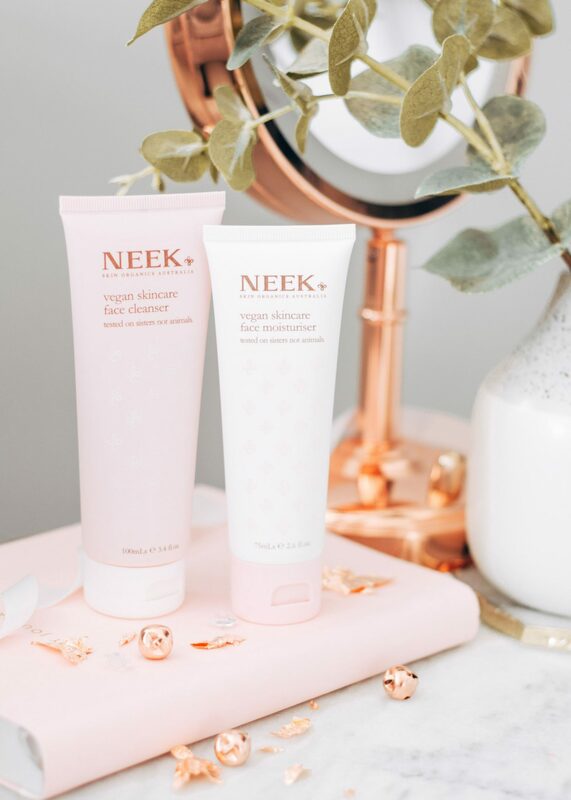 These two products are the Face Cleanser* and Face Moisturiser*. Lets start with the face cleanser. You get 100ml for £14.50, which is mid-range in my opinion. I think for a vegan/cruelty free product, this would be the going rate and I certainly wouldn’t mind paying that. As for the formulation, it has this jelly like consistency that foams up when you massage it into the skin. I really like cleansers that do this, because it feels as though its really getting in there and getting off any dirt thats built up over the day. One thing I’m not completely sold on though, is the scent. Although I love that its a very natural product, the scent is very clinical. You know that smell when you walk into a hospital, yeah it kinda has that vibe going on – meh. However, I’m willing to overlook that as I love how it makes my skin feel. Secondly, we have the moisturiser. This is a little bit more expensive, at £18 for 75ml. Although again, I do think this is reasonable for a natural skincare product. It has a lovely, light consistency that sinks into the skin really quickly, which is always a good thing in my eyes. A little goes a long way with this product, so a pea size amount is perfect. The scent of this is much less ‘clinical’ than the cleanser – yay! It still smells very natural though, so if you’re someone who doesn’t like heavily scented products, these are well worth a try. Overall, I’m really enjoying both of these products. I love how fresh the cleanser makes my skin feel and I love how smooth the moisturiser makes my skin feel. Definitely a winning duo. I can’t wait for Neek to bring out more products in their skincare line, because I’m sure they’ll be as fab as these two.